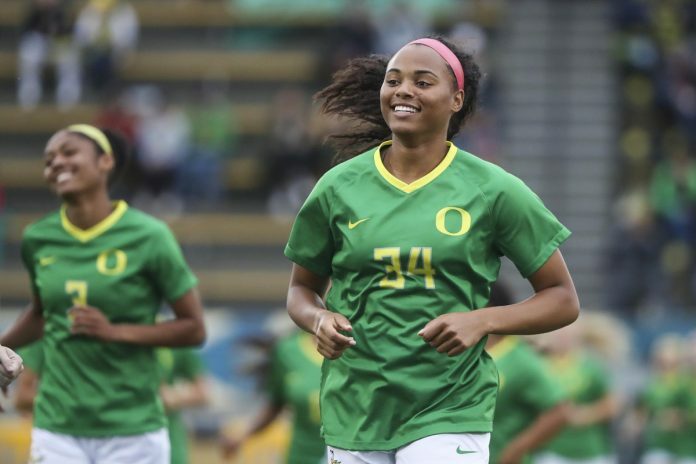 Those long hours on the soccer field have paid off big for South Pasadena High alum Jazmin Jackmon, who was selected last week to play professionally by the Houston Dash of the National Women’s Soccer League (NWSL). 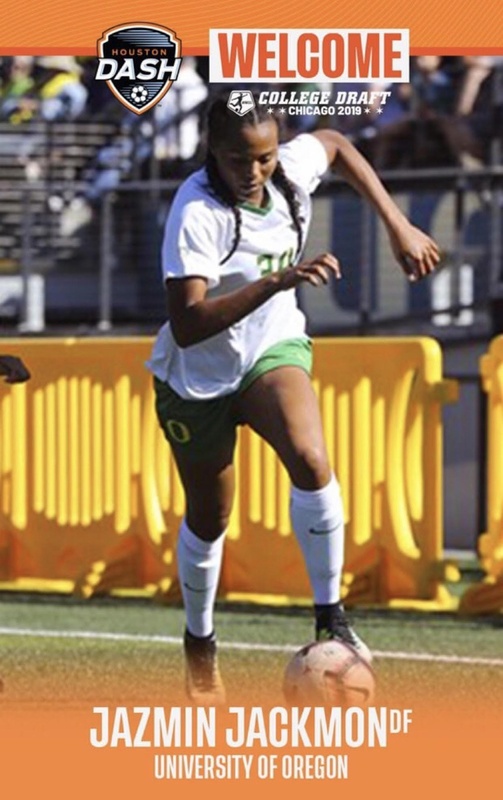 “Always fun to see Tigers fulfilling their dreams!” said Tigers’ coach Tori Lathrop of Jackmon, who played at a high level for University of Oregon and Santa Clara before being drafted in the third round by the Dash. Houston added six new faces to their roster during this year’s NWSL College Draft, on Thursday, January 10, in Chicago. The Dash had four selections in the second round and chose defender Ally Prisock, forward CeCe Kizer, midfielder Betsy Brandon and forward Kayla McCoy. In round three, the Houston selected Jackmon and midfielder Grace Cutler. Jackmon, a 5’10” defender for the Ducks, started all 38 matches during her senior and junior seasons at Oregon and earned honorable mention academic All-Pac 12 honors as a senior. She started playing college soccer at Santa Clara and as a sophomore helped her team advance to the elite eight of the NCAA tournament following a 12-7-4 overall season, including a 6-2-1 mark in West Coast Conference action. As a freshman, Jackmon started all of the Broncos’ 22 games. She describes her style of play as aggressive, strong and powerful and says looks forward to putting on a Houston uniform. Jackmon competed in both soccer and track at South Pasadena High and helped lead the Tigers to three straight CIF playoff appearances, including one CIF championship crown. She was named her team’s Most Outstanding Performer as a senior in 2014. Her father, Marvin, played college football at California Polytechnic University and Northern Arizona University, and later signed with the San Francisco 49ers as a free agent.